Tim Cook says terrorism should not scare people into giving up their privacy. In the second half of The Telegraph’s interview with Tim Cook, Apple CEO Tim Cook has reaffirmed his position on privacy. Cook says that whilst currently consumers do not understand the ramifications of sharing their data with third-parties, “one day they will”. Moreover, Cook openly objects to governments that say data sharing is required to combat crime and terrorism. There has been pressure for tech companies to offer back-doors into encryption mechanisms, but a clear implication of this interview is that Apple will strongly oppose this view. Cook describes privacy as a ‘basic human right’. Although Cook believes that terrorism is bad (“these people shouldn’t exist”), he rejects the idea that privacy policies needs to be weakened to support counter-terrorism efforts. Cook says that removing layers of encryption will mean that the public’s private information will “inevitably be taken” and that terrorist effort will encrypt their own communications regardless of company oversight. The interview concludes with Cook reiterating what Apple’s stance is in this area. “You are not our product”, in regard to health data, purchase history (referring to Apple Pay) and even ‘relatively minor pieces of information’ which can be built up into a ‘trove of data’, according to Cook. During his whirlwind tour of the Middle East and Europe, Apple CEO Tim Cook has been leaving little breadcrumbs of Apple Watch revelations. There was the confirmation that the Watch will be showerproof in Germany, and now Cook has said it will eventually replace your car keys. Cook was greeted with a very warm welcome from employees at London’s Covent Garden Apple store on Friday. “The staff gasped, and then burst into spontaneous, loud applause as soon as they spotted Cook, who walked in behind them,” reports The Telegraph. One of the first questions Cook was asked related to Apple Watch. He showed the retail team his white Sport model. “This will be just like the iPhone: people wanted it and bought for a particular reason, perhaps for browsing, but then found out that they loved it for all sorts of other reasons,” said Cook. One of those reasons will apparently be unlocking your car. 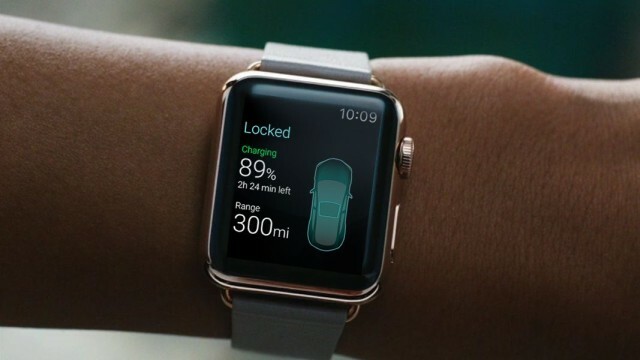 Cook said that Watch is designed to “replace car keys and the clumsy, large fobs that are now used by many vehicles,” according to The Telegraph. 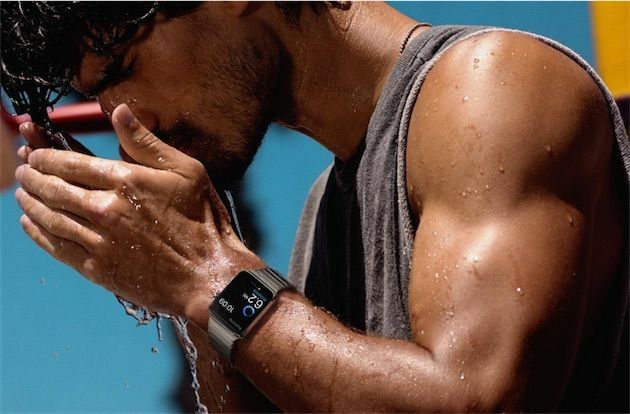 “We’ve never sold anything as a company that people could try on before”, Cook said, adding that Apple is “tweaking the experience in the store” for the upcoming Watch. The New Yorker’s recent profile of Jony Ive revealed that Ive is helping design a new store layout. Apple is expected to announce more details about the Watch, including pricing, at its upcoming March 9 event. Cook has already said that the product will ship in April. Cook is proud of Apple staying “true to our North Star.” That includes three pillars: pro-privacy, pro-environment and pro-human rights. 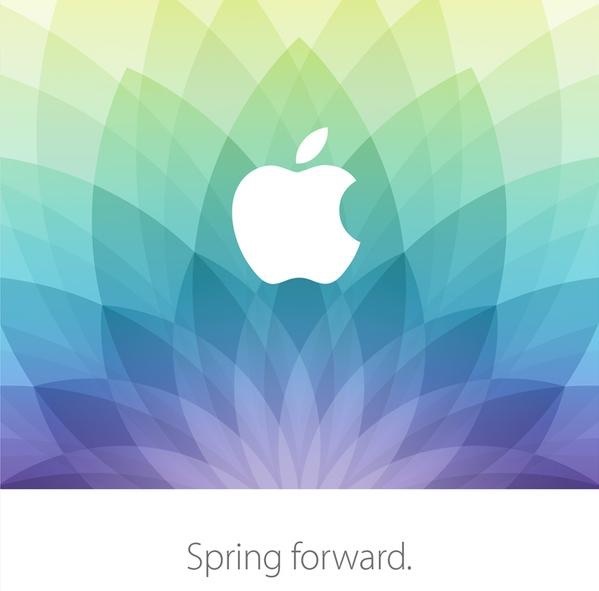 Apple Sends Invites for ‘Spring Forward’ Apple Watch Media Event on March 9. Apple today sent out invites for a media event that will be held on Monday, March 9 at the Yerba Buena Center for the Arts in San Francisco. As with most Apple media events, it will begin at 10:00 a.m. Pacific Time. The event’s “Spring Forward” tagline is decidedly time related and March 9 falls one day after the start of Daylight Saving Time in the United States, suggesting the Apple Watch may be the focal point. There are still many details on the Apple Watch that Apple has kept under wraps, including full information on pricing, battery life, and accessory options, all of which may be revealed at the event ahead of the Apple Watch’s April launch. The event could also see the launch of other products, such as the rumored 12-inch Retina MacBook Air or refreshed 11 and 13-inch MacBook Airs, which are due for an update. 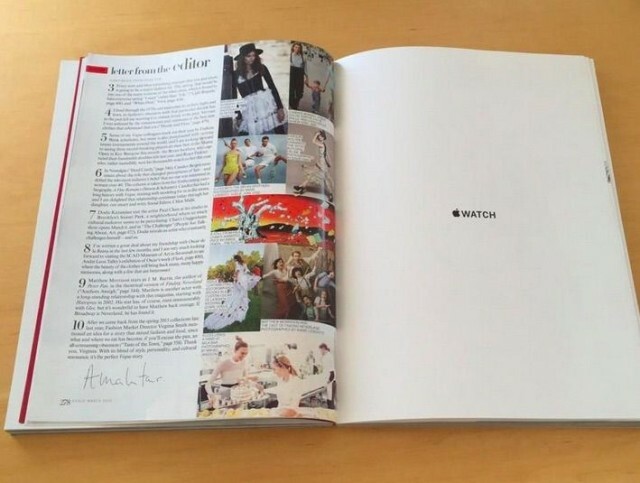 Apple Watch still isn’t available for the masses, but Apple is ramping up its marketing efforts among fashionistas with a multipage spread in the March issue of Vogue. 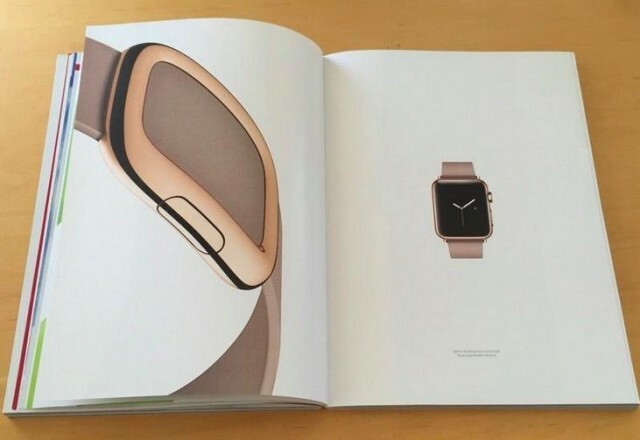 Multiple versions of the Apple Watch are shown across the seven-page ad, which includes closeups of the watch bands as well as full-size pictures of the entire device to give readers a better idea about whether Jony Ive’s timepiece will fit in with their wardrobes. Vogue also has a preview of the gold Apple Watch Edition on its French website. The print ads feature images of the Milanese loop, the navy leather Loop and the green Apple Watch sport band. Apple Watch also made an appearance on the cover of SELF Magazine this month, with model Candice Swanepoel rocking the Sport model. 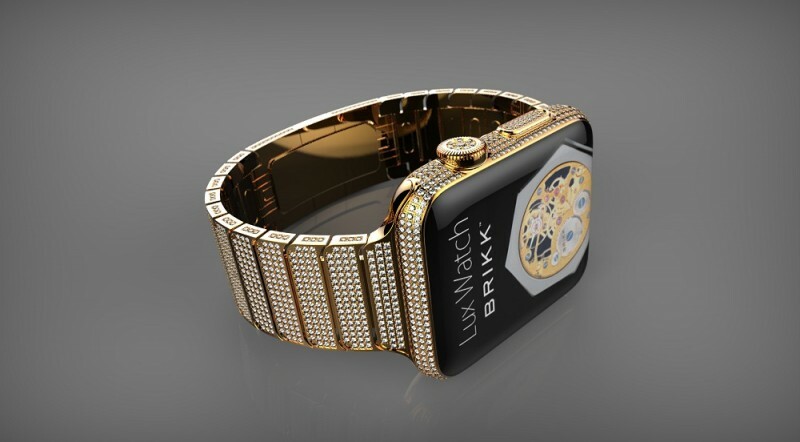 Pricing for the Apple Watch still hasn’t been announced other than the $350 price tag for the Sport. Full details, as well as the release date, are expected to be revealed at an event in March.